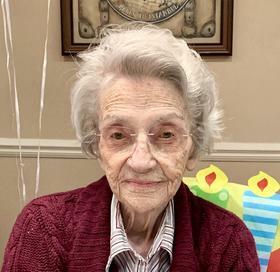 Rie Amberg, age 107, of Canton passed away March 30, 2019. Beloved wife of the late Hans Martin Amberg. Loving mother of Ozzie (Kathy) Amberg. Dear sister of Margaretha and the late Elizabeth Niemann, Antoinette van Joolan and Johanna. Beloved aunt of Els (Fred) Niemann van Gulik, Laurie Smith, Frank McCoslin, Isabelle van Gulik and Patricia van Gulik. Also preceded in death by her parents, Antoinette (Nee Groenevelt) and Johannes Sijmons. Also lovingly cherished as a special family member by the following families; Dytyniak, Leib, Friedrich, Ramos, Nawrocki, Young and Champion. Visitation Friday 4-8 pm at Neely Turowski Funeral Home, 45100 Warren Road, Canton, MI 48187.